Welcome to the second half of the final term of 2018. Report season in open, recruiting of staff continues and preparations for end of school year events are on the boil. Congratulations to all who had success on “The race that stops the nation”. The wonderful tradition of school children listening or watching the Melbourne Cup continued for another year. Australians have long had an affection and link to horses and this extends to farm life, bush poetry, Olympics glory and of course the Light Horse. I especially mention the Light Horse as it is a link to the Great War which we will take time to recognise on Sunday given it is the centenary celebration of the Armistice on Remembrance Day – Lest We Forget. In staffing news Mr Mullane is stepping down from the APRE role in 2019. On behalf of the school community I thank him for his devotion and efforts in this aspect of school life. Mr Mullane will continue as a class teacher and the school is in the process of recruiting for a new APRE. 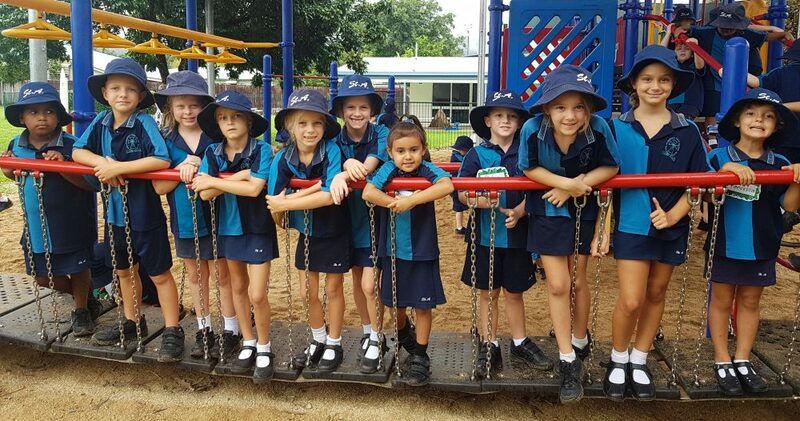 In further recruitment news I congratulate Ms Nicole Logie who will be joining the school community as a class room teacher in 2019 and Mrs Sharon Miller who recently secured the advertised Administration Officer position. There are a number of school events on the horizon and these include the Prep Information Evening (6pm 21st Nov), Prep Orientation Sessions (afternoon – 29th Nov), Yr 6 Low Isles Excursion (16th Nov), Christmas Concert (6pm 4th Dec) and Yr 6 Farewell Liturgy (10 am 7th Dec). End of year reports will be available through the Parent Portal. Please ensure you have access to this portal. If you have changes your email address recently, please provide the new email address to school Administration prior to the 1st December. A reminder of two admin matters; 1) school policies can be accessed through the link on the school website homepage and 2) issues surrounding concerns of paying school fees require a meeting with the School Principal. Congratulations to Megan Newell our Leader of Curriculum & Pedagogy, who completed an “Aspiring Leaders Program” through CES Cairns. As a conclusion to this program Megan was required to deliver a presentation of her current research. The evening was a wonderful celebration of Megan’s research and the growth students are achieving at St Augustine’s School. With four weeks to go let’s commit to a great end to the school year.